Jesus Agnew has designed and built eight studios before Magnetic Fidelity. 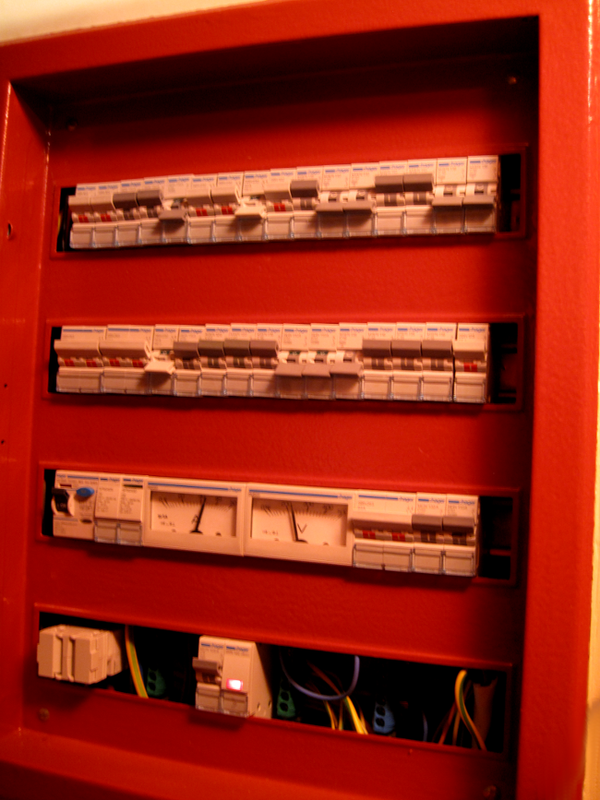 Throughout the years he has tried and tested almost every brand, type and style of electrical installation components, wiring etc. Having no end of problems with previous installations, he was horrified to see, that even the most expensive and well known manufacturers would produce components, which often turned out to be the source of electrical noise and distortions in the mains waveform. Following lengthy research in this field, we have finally found, what seems like the only manufacturer of high quality electrical installation components left in the world. For the electrical installation of Magnetic Fidelity we have exclusively used components from this manufacturer. From their accurate metering to their high quality switches, circuit breakers, surge protection devices, residual current devices, wiring, connectors and all other accessories, we have put together the ultimate electrical installation for audio work. No noises, no failures (yet). No heat, no smoke, no distortions. Just clean pure stable electricity for our beloved audio electronics. A very important part of designing electrical installations for audio facilities is to ensure, that lights, appliances, heating, A/C, and essentially all that is not related to audio is kept electrically isolated from the audio electronics. This is often overlooked, since it requires radical rewiring of entire buildings, to make it possible. We did not shy away. Our building is specially wired for Magnetic Fidelity purposes. We will let the proof be in our sound.